[Bhai Mani Singh] Doing Seva he renounced lazyness. Everyday he would wake up at a quarter watch. He shone greatly with the light of Gurbani. He would tie a Dumalla [High Turban] and wear Weapons. Wearing blue and a Sava Gajh Kechera [A Nihang tradition]. Holding onto the Double-edged sword he would sing Bani. Asa di Var the treasure of happyness. 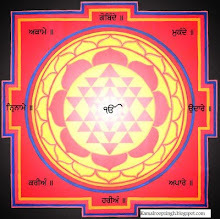 In this world the Guru gave the order of the Degh and Tegh. He would serve the good Singhs. With one tongue his life-style cannot be said. The son of Bhai Mani Singh clearly a Nihang Singh and a Shahid Singh, his fresco is present at Gurdwara Baba Atal Rai, Sri Darbar sahib complex, Sri Amritsar. Singh Jee can you please translate more Saakheean like this? really amazing. It gives us more insight into Sikh itihaas from puraatan sources. 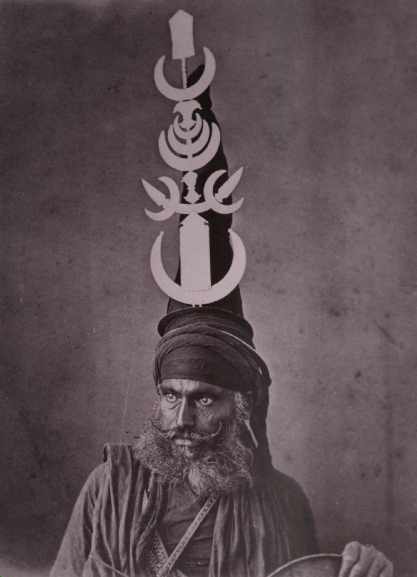 Also there is one book I was reading about Sikh Missals, and it describes Bhai Mani Singh Jee as wearing all white, with a white round dastaar which made him stand out from the other singhs at Darbar Sahib who wore all blue. My friend has that book right now, I can tell you the name later on. doesnt this contradict the sevapanthi link?